Typically, when analyzing contractual language in order to determine its proper meaning, the ‘correct’ interpretation is based on the parties’ intentions at the time of the contract’s signing. But what happens in the case of ‘fixed term contract’ employees? Is strong contractual language enough to deny that individual a reasonable notice period and other benefits afforded to regular employees? Frequently, the case of Ceccol v. Ontario Gymnastic Federation, 2001 CanLII 8589 (ON CA) is referenced within a wrongful dismissal matter arising out of a fixed term contract. In Ceccol, the Plaintiff was a fixed term employee, but had her contract, which was for a one year period, renewed every year for a period of 16 years. At trial, the court found that she was entitled to reasonable common law notice, as a regular employee would be entitled to. Recently, in the case of Thompson v. Cardel Homes Limited Partnership, 2014 ABCA 242, the Plaintiff, who was employed on a fixed-term contract as President of the Defendant Company was stripped of his duties and his ties with clients and subordinates were ended one month prior to the ‘end date’ provided in the employment contract. While the Plaintiff had continued to receive pay and profit sharing during this time, he still sued the Defendant, alleging that the Defendant’s conduct had amounted to constructive dismissal. At trial, the judge agreed, awarding the Plaintiff $285,000.00. The Defendant appealed, but the appellate court upheld the trial judge’s decision. Conversely, in the case of Flynn v. Shorcan Brokers Ltd., 2006 3462 (ON CA), the court found that the Plaintiff, who had been employed on a fixed term contract for four consecutive years was not entitled to reasonable common law notice. The Plaintiff appealed, trying to obtain a verdict that he was in fact entitled to common law notice. On appeal, the court sided with the trial judge, finding that the employment contract clearly conveyed the fixed-term aspect of the employment relationship, and that the Plaintiff could not have had a reasonable expectation that the employment relationship would continue upon the end of the term. Factors which contributed to this finding included the Plaintiff’s level of knowledge pertaining to the contract, the equality of bargaining power, and the fact that the Plaintiff declined independent legal advice. As an employer, contract enforceability is an integral component to limiting your liability. If you do elect to place employees on a fixed-term contract, it is important that the nature of the contract and its term is communicated clearly. 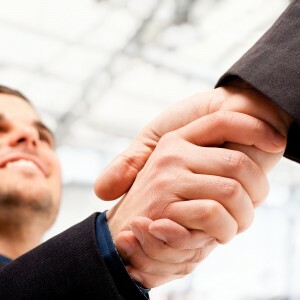 Meeting with an Employment Lawyer who can review the contract and your approach is the most effective way to do this. Contact Monkhouse Law today for a free consultation. If you were employed pursuant to a fixed term contract and have been terminated without sufficient severance pay, you may have a legal remedy available to you. Fixed-term contracts are a complex matter which is why it is recommended that you consult an Employment Lawyer in order to determine whether you have an entitlement to compensation. Contact Monkhouse Law today for a free consultation.